DAP Going Rural or Deregistered..?? 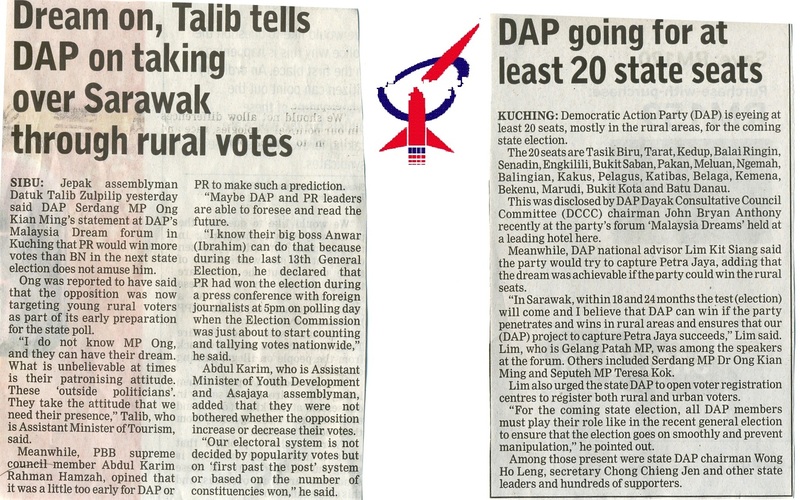 DAP Sarawak has set its sights to go Rural and with deregistration ‘looming on the horizon” as speculated by LGE it does seem DAP will be looking at another entity to achieve their aim. WILL IT BE DAP “BARU”OR OTHER ENTITY..? 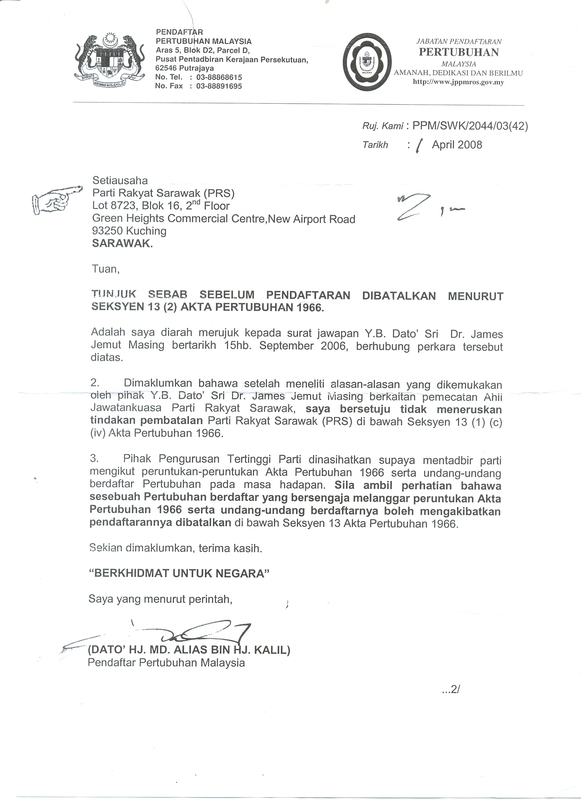 In 2008 PRS nearly suffered the same fate and article 13(2) was used as shown (attached)below:- PRS survived the crisis and have grown from strength to strength.